Fore triangle	446 – 505 Sq ft.
We purchased this sailboat in August of 2015 for a total of $5,000. 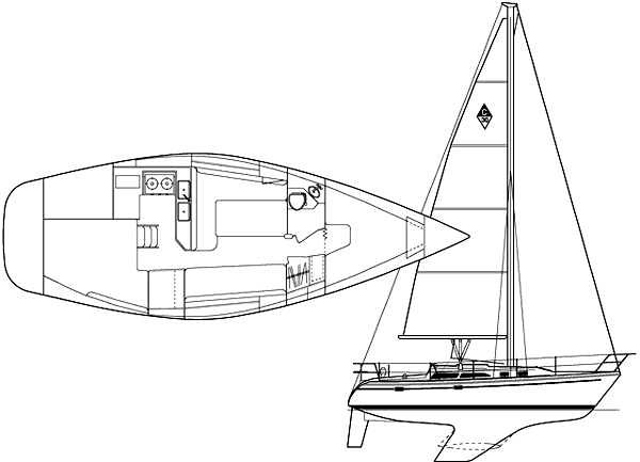 Before that time, we looked at maybe 3 other sailboats that were similar sized and were priced 4x more. So when we came across Lacuna, formerly Island Spirit, we thought we were getting a killer deal. Little did we know, after many surprises and much-needed repairs, we maybe should have talked him down a bit on the price. Overall, she has been a great project for us over the past year and we are glad to say we are finished (almost). Check out our before and after pictures here.